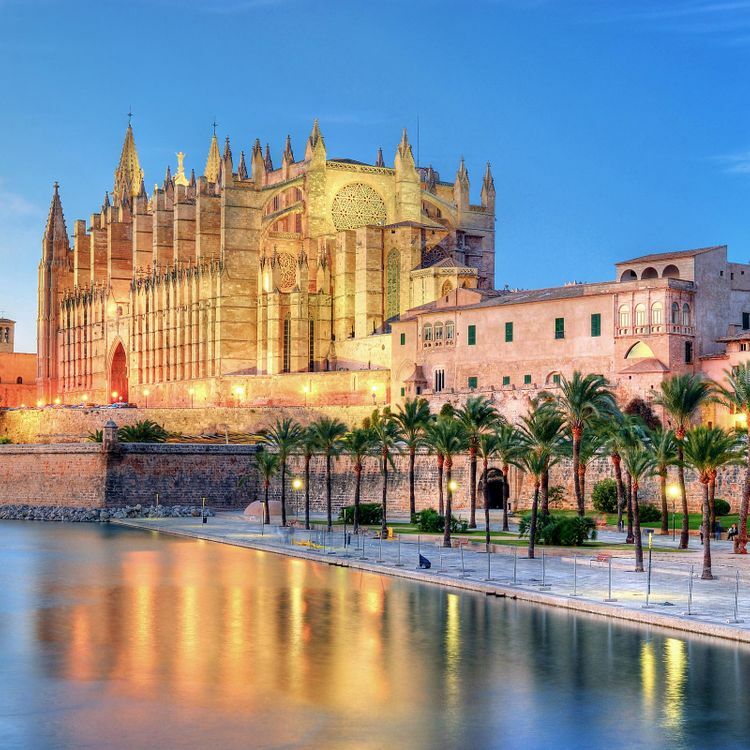 Palma is on the picturesque island of Mallorca and its history runs throughout the city. The Santa María cathedral is a 13th-century landmark that can't be missed. 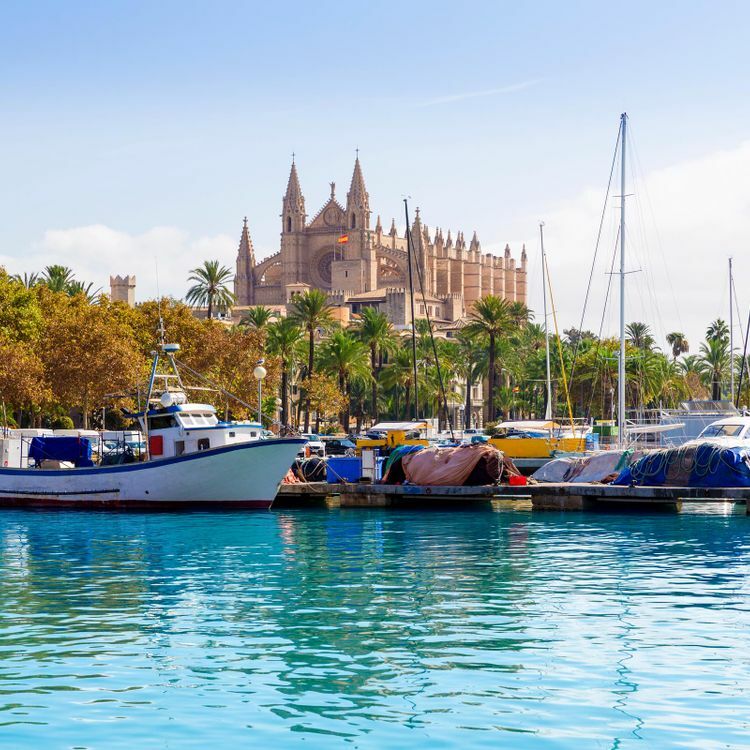 Also within the city of Palma are the Almudaina (a Moorish-style Arab fortress converted to a royal residence) and Bellver Castle (a medieval fortress known for its circular shape). 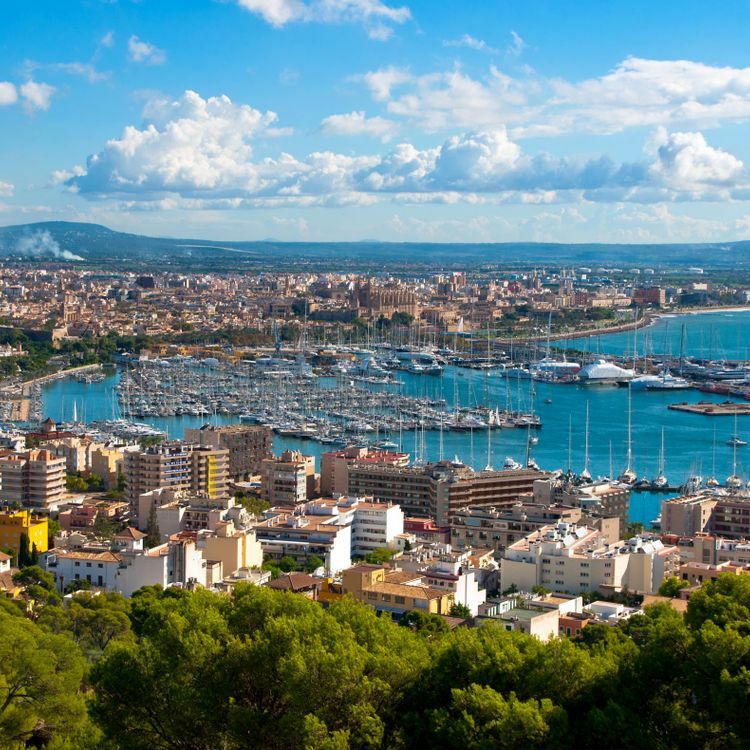 You can explore the numerous galleries, restaurants, and bars as well to get the true Palma experience. The Hotel Cort is a stylish boutique hotel renowned for its exceptional design and paradisiacal feel. Guests benefit from the proximity to nearby shops, restaurants, and museums while also enjoying the ability to withdraw to their tranquil and private suite. Take in the vast blue Mediterranean sky and warm island sun on one of the many terraces, or dine on fresh Mallorquin cuisine at the hotel restaurant. Ideal for a couple's retreat, Hotel Cort is the recipient of several prestigious design and service awards. You'll want to be seen at this strikingly hip resort. The 5-star Sant Francesc Hotel Singular is a beautifully renovated hotel housed in a 19th century manor. Watch the world go by in buzzing Sant Francesc Square from your private balcony. Take a swim in the rooftop pool, or pamper yourself with a massage in the wellbeing treatment rooms. And to finish your day in style, sip chilled champagne and signature cocktails on the private roof terrace. Walk out of Sant Francesc Hotel Singular and you'll find yourself in Palma's historic centre. Stroll across the plaza to the nearby basilica, or explore the cathedral – a gothic masterpiece overlooking the sea. While away an afternoon in one of the city's art galleries, then, as evening draws in, retreat to the garden restaurant and sample authentic Mediterranean cuisine.